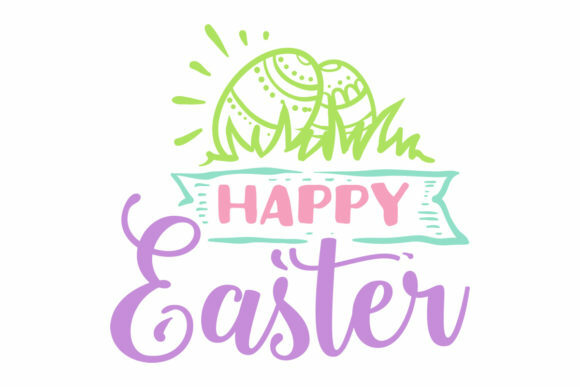 Happy Easter – Download this cute Easter design. This Happy Easter straight-forward message will most likely make you dream of holiday and all recreational stuff. If it weren’t for the stylized green Easter eggs an exotic island would have probably been your first thought. But until you get there, use this Easter themed design for your custom Easter gifts or Easter decorations.